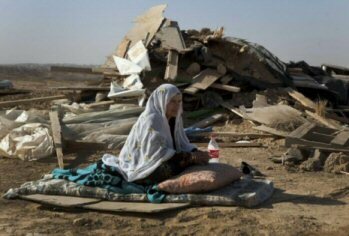 The Israeli Interior Ministry and Land Administration Agency, in cooperation with the Regavim NGO and the Jewish National Fund (JNF), have been demolishing 1,000 Arab homes in Al-Naqab every year, under the pretext that they were built without permits. Days of Palestine reports that this has been revealed by Amichai Yogev, the southern region director of Regavim, which was founded in 2006 in order to confiscate Palestinian land and build illegal Jewish only settlements in the occupied West Bank and Al-Naqab. In an interview with Jewish Voice, Yogev said that there are 220,000 Arabs in Al-Naqab today and that they are living on 13,000 km2 of land. According to estimates, there are about 70,000 unlicensed homes in the “recognised” and “unrecognised” towns and villages. This means that these homes are at risk of being demolished at any moment, according to Regavim’s way of thinking. Yogev also claimed that the Israeli NGO is frustrated by the current situation, as the Palestinian residents in Al-Naqab build 2,000-3,000 homes a year in the unrecognised villages and gatherings. He added that, despite their aggressive nature, the demolitions have less of an impact on the reality of the demographic spread that the Israeli establishment is seeking to reduce by means of these campaigns. Asked what a village needs in order to be classified as “unrecognised”, Yogev said that all the villages located in the Beersheba-Arad-Yeruham triangle are “illegal”; therefore, they may be destroyed and their residents expelled. The indigenous Palestinian residents in the region describe Regavim as a racist organisation. They say that most of its inspectors, who stick demolition notices on their homes, working with the so-called Israeli Land Administration Agency, are settlers living in settlements in the Negev. Bethlehem – an Israeli Checkpoint in the City. Israeli forces have continued with systematic attacks against Palestinian civilians and their property in the occupied Palestinian territories (oPt) for the reporting period of 18- 24 June 2015. Israeli forces continued to use force against Palestinian civilians participating in peaceful protests in the oPt and against civilians approaching the border fence along the Gaza Strip. They also continued to chase and open fire at fishermen sailing within the allowed area in the Gaza Strip sea. In addition, Israeli forces launched an air strike in the northern Gaza Strip, but no casualties were reported. During the reporting period, Israeli forces wounded 9 Palestinian civilians, including 2 children, in the West Bank, while a child was wounded as settlers fired at him in al-Bireh. In the West Bank, on 18 June 2015, 2 civilians were wounded in Nablus when Israeli forces moved into the eastern area to protect dozens of settlers, who went to Joseph Tomb to perform Talmudic rituals. On 20 June 2015, a settler from "Psagot" settlement, east of al-Bireh, opened fire at 15-year-old child from al-Tawil Mount area near the aforementioned settlement. As a result, the child sustained 2 bullet wounds to the right leg. Israeli forces continued to use excessive and systematic force against peaceful protests organized by Palestinian civilians and Israeli and international human rights activists in protest at the construction of the annexation wall and settlement activities in the West Bank and Israeli policies in the oPt. As a result, 3 civilians were wounded in Kufor Qaddoum protest, northeast of Qalqilya. Moreover, Israeli officers maltreated a Palestinian civilian suffering from epilepsy, from al-Jalazoun refugee camp north of Ramallah. In occupied East Jerusalem, on 21 June 2015, a Palestinian youngster from Sa'ir village, east of Hebron, sustained 6 bullet wounds as he was fired at by an Israeli border guard officer from a close range, after the youngster had stabbed another Israeli soldier in Bab al-Amoud area in Jerusalem. In the Gaza Strip, 3 civilians, including 2 children, were wounded; wounds of one of whom were serious. On 19 June 2015, Israeli forces stationed along the border fence opened fire at 3 civilians, who were 200 meters to the east of al-Fokhari area, southeast of Khan Yunis in the southern Gaza Strip. On 22 June 2015, 2 children were wounded in the east of Khauza'a village, south of the Gaza Strip, when Israeli forces stationed along the border fence opened fire at 4 children, who were present 30 meters away from the said fence. As a result, 2 children were wounded; one of whom sustained serious wounds. Furthermore, on 23 June 2015, Israeli forces opened fire at agricultural lands, east of Khuza'a village, east of Khan Yunis in the south of the Gaza Strip, but no casualties were reported. In the context of targeting fishermen, on 23 June 2015, Israeli gunboats stationed off al-Waha resort, northwest of Beit Lahia in the north of the Gaza Strip, opened fire sporadically around Palestinian fishing boats. As a result, fishermen were frightened and sailed back to the shore, but no casualties were reported. On 24 June 2015, an Israeli drone fired a missile at an agricultural land belonging to Hamdan family, east of Beit Hanoun in the north of the Gaza Strip, but neither casualties were reported. During the reporting period, Israeli forces conducted at least 40 military incursions into Palestinian communities in the West Bank and 5 ones in East Jerusalem. During these incursions, Israeli forces arrested at least 37 Palestinians, including 11 children and 6 women. Twenty of these Palestinians, including the 11 children and 5 women, were arrested in East Jerusalem. 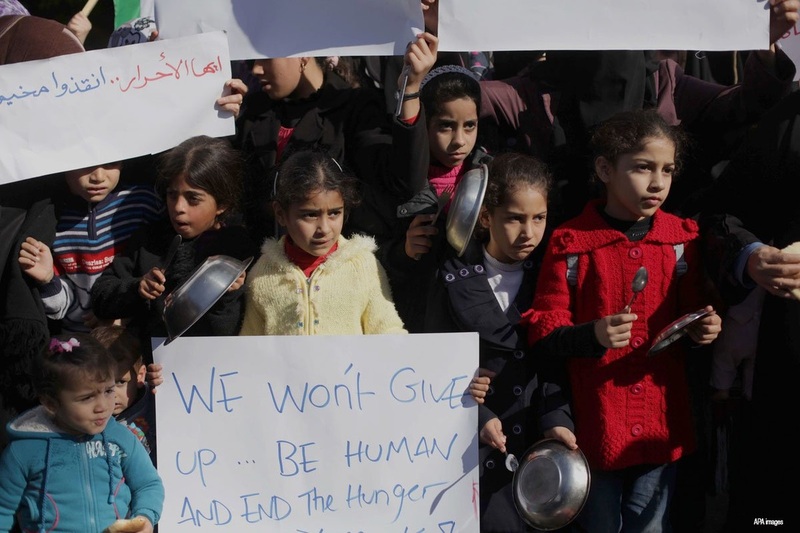 The illegal closure of the Gaza Strip, which has been steadily tightened since June 2007 has had a disastrous impact on the humanitarian and economic situation in the Gaza Strip. The Israeli authorities impose measures to undermine the freedom of trade, including the basic needs for the Gaza Strip population and the agricultural and industrial products to be exported. For 8 consecutive years, Israel has tightened the land and naval closure to isolate the Gaza Strip from the West Bank, including occupied Jerusalem, and other countries around the world. This resulted in grave violations of the economic, social and cultural rights and a deterioration of living conditions for 1.8 million people. The Israeli authorities have established Karm Abu Salem (Kerem Shaloum) as the sole crossing for imports and exports in order to exercise its control over the Gaza Strip’s economy. They also aim at imposing a complete ban on the Gaza Strip’s exports. The Israeli closure raised the rate of poverty to 38.8%, 21.1% of which suffer from extreme poverty. Moreover, the rate of unemployment increased up to 44%, which reflects the unprecedented economic deterioration in the Gaza Strip. On 19 June 2015, a group of settlers from "Beit El" settlement threw stones at Palestinian vehicles passing on Ramallah-Nablus road adjacent to the aforementioned settlement. As a result, the glass of a vehicle was smashed. On 21 June 2015, a group of settlers from "Tafouh" settlement between Jama'in and Yasouf settlement, south of Nablus, cut off 70 olive trees with using chainsaws. On 22 June 2015, Israeli forces confiscated and damaged grocery stalls that were established by Beit Ommar residents, north of Hebron, to sell their products. During the reporting period, Israeli soldiers used excessive force against peaceful demonstrations organized by Palestinian civilians, international and Israeli human rights defenders in protest at the construction of the annexation wall and settlement activities in the West Bank. As a result, 3 civilians were wounded in Kufor Qaddoum protest, northeast of Qalqilya. Following the Friday prayer, on 19 June 2015, dozens of Palestinian civilians and international and Israeli human rights defenders organized a peaceful demonstration in Bil’in, west of Ramallah, in protest at the construction of the annexation wall and settlement activities. The protestors marched by the annexation wall and tried to cross the fence. Israeli soldiers stationed behind the wall, in the western area, and a large number of soldiers deployed along it, fired live bullets, tear gas canisters, rubber-coated metal bullets, sound bombs and wastewater at them and chased them into the olive fields. As a result, a number of protestors suffered tear gas inhalation and others sustained bruises as they were beat up. Also following the Friday prayer, dozens of Palestinian civilians organised a peaceful demonstration in the centre of Ni’lin village, west of Ramallah, in protest at the construction of the annexation wall and settlement activities. The demonstrators took the streets and headed to the annexation wall. Israeli forces closed the gates of the wall with barbwires and prevented the demonstrators from crossing to the land behind it before they responded by throwing stones. Israeli soldiers fired live ammunition, rubber-coated metal bullets, sound bombs and tear gas canisters at the civilians, and chased them into the village. As a result, a number of protestors suffered tear gas inhalation and others sustained bruises as they were beat up by Israeli soldiers. Also following the Friday prayer, dozens of Palestinian civilians and Israeli and international human rights defenders gathered in the center of al-Nabi Saleh village, northwest of Ramallah, to start the weekly peaceful protest against the construction of the annexation wall and settlement activities. They made their way towards Palestinian lands that Israeli settlers from the nearby "Halmish" settlement are trying to seize. Israeli soldiers closed all the village's entrances to prevent the Palestinian and international solidarity activists and journalists from participating in the protest. As a result, a number of protestors suffered tear gas inhalation and others sustained bruises as they beat up by Israeli soldiers. Also following the Friday prayer, there was the weekly protest against the closure of the eastern entrance of Kufor Qaddoum village, which was closed by Israeli forces since the Intifada. Once the protestors approached the closed entrance, Israeli forces fired rubber-coated metal bullets, tear gas canisters and sound bombs. They also sprayed skunk water over the protestors. As a result, 3 civilians were wounded. An 18-year-old civilian sustained 2 bullet wounds to the right leg, a 23-year-old civilian sustained a bullet wound to the right thigh and a 30-year-old civilian sustained a bullet wound to the right leg. · Hebron: Israeli forces established 10 checkpoints all over the city. On Thursday, 18 June 2015, Israeli forces established 2 checkpoints at the entrance of Beit Kahel village, northwest of Hebron, and at the entrance of al-Deir Samit village, west of Dura, southwest of Hebron. On Saturday, 20 June 2015, Israeli forces established 2 checkpoints at the entrance of Beit 'Awa village, south of Dura, southwest of the city, and at the entrance of Rabud village, southeast of Dura. On Sunday, 21 June 2015, Israeli forces established a checkpoint at the entrance of al-Fawar refugee camp, south of Hebron. On Monday, 22 June 2015, Israeli forces established two checkpoints at the northern entrance of Yata, south of the city and at the entrance of Beit Kahel village, west of Hebron. On Tuesday, 23 June 2015, Israeli forces established a checkpoint at the entrance of al-Samou'a village, south of Hebron. On Wednesday, 24 June 2015, Israeli forces established two checkpoints at the southern entrance of Hebron and the entrance of Bani Na'im village, east of the city. · Ramallah: Israeli forces established 12 checkpoints all over the city. On Thursday, 18 June 2015, Israeli forces established 3 checkpoints under the bridge of Yabrud village, northeast of the city; at the entrance of Deir Qeddis village, northwest of the city; and on al-Mo'arajat road between Jericho and Ramallah. On Friday, 19 June 2015, Israeli forces established 8 checkpoints at the northern entrance of Birzeir, at the eastern entrance of al-Nabi Saleh village; the entrance of Ni'lin village; at the intersection of Beit 'Oar al-Foqa; Deir Abzigh village; on the road between the villages of Kafr Ne'amah and Ras Karkar; on the road between the villages of Deir Abzigh and Ras Karkar and at the entrance of 'Aboud village. On Saturday, 20 June 2015, Israeli forces established a checkpoint under the bridge of Yabrud village, northeast of the city. · Qalqilya: Israeli forces established 5 checkpoints all over the city. On Friday, 19 June 2015, Israeli forces established a checkpoint at the entrance of Kafr Qaddoum village, northeast of Qalqilya. On Saturday, 20 June 2015, Israeli forces established 3 checkpoints at the entrance of Jeet village, northeast of Qalqilya; on the road between 'Azoun and Jayous villages, east of the city and at the entrance of Kafr Qaddoum village, northeast of Qalqilya. On Tuesday, 22 June 2015, Israeli forces established a checkpoint at the entrance of Kafr Qaddoum village, northeast of Qalqilya. 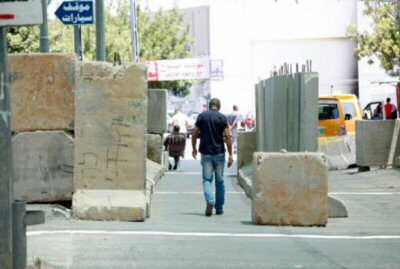 · Jericho: Israeli forces have continued to impose severe restrictions on the movement of Palestinian civilians. On Friday, 19 June 2015, Israeli forces established 2 checkpoints at the entrance of Fasayel village, north of the city, and at the southern entrance of Jericho. On Sunday, 14 June 2015, Israeli forces established a checkpoint at the southern entrance of Jericho. Note: all the aforementioned checkpoints were later removed, and no arrests were reported. At approximately 15:30 on Thursday, 18 June 2015, Israeli forces established a checkpoint at the entrance of Kafr Qaddoum village, northeast of Qalqilya. They arrested 3 civilians from Baqet al-Hatab village while passing via the checkpoint and took them to an unknown destination. The arrested civilians were identified as Jom'ah Merwan Farid Barghouth (26); Mohammed Wasfi Rashid Barghuth (25); and Suhaib Nael Zaki Barghutth (22). On the same day afternoon, Israeli forces stationed at al-Taibah crossing between Tulkarm and Israel arrested Ahmed Basem Jamil Soliman (26), from Bal'ah village, north of the city and took him to an unknown destination. The aforementioned civilian was arrested when he was on his way back from his work in Israel to his home in Bal'ah village. At approximately 23:30, Israeli forces established a checkpoint at the entrance of Qalqilya. They arrested Bashar Mohammed Amin 'Abdel Rahim Dawoud (25), from Qalqilya. They later removed the checkpoint and took him to an unknown destination. At approximately 20:00 on Saturday, 20 June 2015, Israeli forces stationed at the western entrance of Tal al-Ramidah neighborhood in the center of Hebron arrested Fadi Nader al-Natshah (15) and Mahmoud Sa'id al-Rajabi (18) and took them to an unknown destination. At approximately 22:30 on the same day, Israeli forces established a checkpoint at the entrance of 'Ein Ayoub area, west of Ras Karkar village, northwest of Ramallah. When Fayez Hussein Sabri Anjas (25). from Kherbtha Bani Hareth village was passing via the checkpoint, the Israeli soldiers arrested him. He was released on the following day. On Monday afternoon, 22 June 2015, Israeli forces arrested Saddam Shehadah Salim Dar Khalil (25), from al-Jalazoun refugee camp, north of Ramallah, when he was near Qalendia checkpoint, north of occupied Jerusalem. At approximately 15:00 on Tuesday, 23 June 2015, Israeli forces stationed at al-Container checkpoint, northeast of Bethlehem, arrested Hatem Ibrahim 'Abdel Majeed Shadid (24), from Kharsa village, south of Dura, southwest of Hebron, and took him to an unknown destination. At approximately 18:00 on Wednesday, 25 June 2015, Israeli forces arrested two Palestinian civilians from Bethlehem and took them to an unknown destination as they were heading to occupied East Jerusalem to perform Tarawih prayers in al-Aqsa Mosque. The two arrested civilians were identified as 'Ali Mohammed Hammad (22) and 'Omer Ibrahim al-Badawnah (18). On Sunday, 21 June 2015, an Israeli border guard officer opened fire at Yasser Yasin Tarwah (18), from Sa'ir village east of Hebron, after the latter stabbed an Israeli soldier in Bab al-Amoud area in East Jerusalem. As a result, Tarwah sustained 6 bullet wounds from a close range, due to which he was taken to Hadasa Hospital in West Jerusalem to receive the necessary medical treatment. According to investigations conducted by PCHR and the statement of an eyewitness, at approximately 11:10 on the above mentioned day, Yasser Tarwah stabbed an Israeli border guard officer with a sharp tool in the head and neck while another officer was in company with the attacked officer in Bab al-Amoud area near al-Mesrara intersection. The other officer immediately opened fire at Tarwah, due to which he sustained 6 bullet wounds, 3 of which were in the chest, one in the side, one in the left thigh and one in the right leg. Israeli forces surrounded the scene and fired tear gas canisters to get those who tried to rescue Tarwah away. Israeli soldiers prevented them from approaching the scene while Tarwa continued to bleed on the ground until an ambulance arrived and transported him to Hadasa Ein Karem Hospital. His health condition was serious. According to a medical source in the Hospital, Tarwah underwent several operations that took hours and his health condition ranged between serious and unstable. At approximately 03:00 on Sunday, 21 June 2015, Israeli forces moved into al-Eisawiya village, north of East Jerusalem. They raided and searched a number of houses from which they arrested 2 civilians: Adham Mahmoud Moheisen (21) and Atta Ebeid (21). At approximately 21:00, on the same day, Israeli forces moved into Silwan village, south of the old city in East Jerusalem. They raided and searched a number of houses from which they arrested 2 civilians, including a child: Mohammed Eyad Abdul Razeq (15) and Tawfiq Ahmed Shweiki (19). At approximately 22:00, on the same day, Israeli forces moved into al-Mukaber Mount area, southeast of East Jerusalem. They raided and searched a number of houses using sniffer dogs. Of the raided houses were the house of Ashraf Ewisat and the house of Sa'id Abu Jamal. Ashraf Eweisat said to a PCHR fieldworker that Israeli forces suddenly raided his house. They took him and his family outdoors and started searching the house thoroughly. He added that it took them about an hour to search the house, pointing that Israeli forces told him that they were allegedly searching for weapons and fireworks, but Eweisat completely denied it. At approximately 23:00, Israeli forces moved into al-Eisawiya village, north of East Jerusalem, for the second time in hours. They raided and searched the house of Wa'el Nathir Mahmoud (38). They arrested the aforementioned person and took him to an unknown destination. At approximately 10:00, on Monday, 22 June 2015, Israeli forces arrested 5 Palestinian women while being al-Aqsa mosque yards. The women were crying "Allah Akbar" when a number of settlers stormed al-Aqsa mosque. The 5 women were taken to "Beit Elyahou" police station to be questioned. The arrested women were identified as: Sana' al-Rajabi, Samah Ghazawi, Amani al-Taweel, Nojood Abu Snaina and Fatina Hussein. At approximately 22:00 on the same day, Israeli forces moved into al-Sowana neighbourhood in East Jerusalem. They stationed at the neighbourhood's intersection and erected a military checkpoint. Dozens of Palestinian youngsters gathered and threw stones and fireworks at Israeli soldiers, who fired tear gas canisters in response and chased them. In the meantime, Israeli forces arrested 3 children and took them to an unknown destination: Mohammed Nader Shaheen (15), Mohammed Ra'ouf al-Moghrabi (17) and Mousa Mohammed Abu al-Hawa (16). At approximately 11:00 on Tuesday, 23 June 2015, undercover units arrested 7 Palestinian children when they got out of Shouman Mosque in Beit Hanina neighbourhood, north of East Jerusalem. They attacked them with gun butts and took them to an interrogation facility. The children were identified as: Mohammed Fo'ad Jaber (13), Morad Aziz Alqam (14), Nour al-Din Omer Abu Hadwan (15), Omer Khaled al-Taweel (14), Omer Yasin (14), Mohammed Tayeh (15) and Saleh Ishtaiya (15). At approximately 09:00 on Monday, 22 June 2015, Israeli forces accompanied by a Civil Administration vehicle moved into al-Jowaya area, east of Yatta, south of Hebron. They deployed between the houses and handed Amir Mohammed Hammad al-Shamesti (40) a notice to halt construction works in his one-storey house under the pretext of non-licensing. 2. A 50-sqaure-meter residential tent belonging to Yasser Salem al-'Adra. At approximately 15:00 on the same day, Israeli forces accompanied by 2 Civil Administration vehicles confiscated and damaged grocery and fruit stalls established by residents of Beit Ommar village, north of Hebron along bypass road (60) to sell their products. They damaged 10 stalls, due to which Palestinians using these stalls to sell their products sustained financial losses. "Every year in the beginning of summer, we establish stalls on the sides of bypass road (60) adjacent to Beit Ommar village to sell fruits including plums, peaches and other fruits we grow. We usually get vegetables and fruits from traders to meet the needs of customers. In the beginning of this summer, specifically, on Monday and Tuesday, 15 and 16 June 2015, Israeli forces accompanied by a GMC vehicle and two Toyota vehicles came to the place where stalls were established. Israeli soldiers deployed in the place, while the Civil Administration officers and "Etzion" Municipality officers damaged some fruits and confiscated others to the vehicles. This included dozens of stalls owned by a number of residents in the village. On the next day, a bulldozer was brought to the place. It removed and confiscated the stalls. On Monday, 22 June 2015, two military vehicles accompanied by two Toyota vehicles arrived at the place. A number of workers confiscated vegetables and fruits, took them to their vehicles and left. Every time this happens, we sustain a financial loss estimated at NIS 1,000 for each stall, which aggravates the living conditions of some families that depend entirely on this season for living." At approximately 08:00 on Tuesday, 23 June 2015, Israeli forces accompanied by Civil Administration vehicles moved into Kherbet Menaizel, east of Yatta, south of Hebron. They deployed between the houses and handed civilians a notice to halt works in an under construction water well that was being dug to collect rainwater to be used as potable water. It should be noted that the well was funded by the USAID. At approximately 22:00 on Friday, 19 June 2015, a group of settlers from "Beit El" settlement threw stones at Palestinian vehicles on Ramallah-Nablus road near the said settlement. As a result, glass of a vehicle was smashed. This attack occurred under the protection and in presence of Israeli soldiers, who did not intervene. At approximately 22:30 on Saturday, 20 June 2015, a settler from "Psagot" settlement, east of al-Bireh City, opened fire at Bassam Taher Abdul Men'em Sarsour (15), from al-Taweel Mount area. As a result, he sustained 2 bullet wounds to the right leg. He was taken to Palestine Medical Compound in Ramallah. An eyewitness said to a PCHR fieldworker that 4 settlers were present by the settlement gate near the Palestinian houses. He added that fire was opened at the child from the said place while the boy was 60 meters away from the gate. On Sunday, 21 June 2015, a group of settlers from "Tafouh" settlement between Jama'in and Yasouf villages, south of Nablus, cut off 70 olive trees with chainsaws. The land in which the olive trees were planted belong to Mahmoud Zaidan Mahmoud Hajj Ali from Jama'in village. 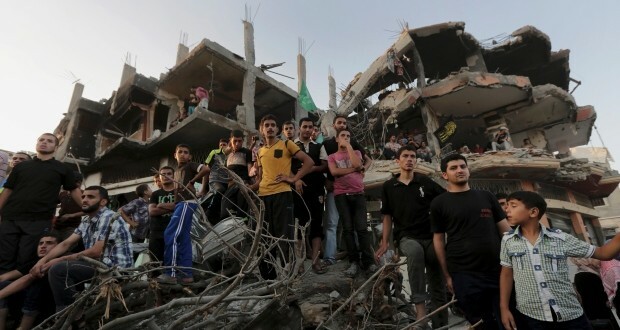 Statistics released by the Palestinian Central Bureau of Statistics (PCBS) on Monday show that 41.2 per cent of the Palestinian residents of their historic land are refugees; 25.2 per cent live in the occupied West Bank and 66.8 per cent are in the Gaza Strip. Palestinians aged under 15 make up 39 per cent of the total Palestinian population. That age group stands at 40.9 per cent among refugees compared to 39.2 per cent among non-refugees. According to the statistics, 4.2 per cent of Palestinian refugees are aged 60 or over, compared to 4.6 per cent among non-refugees. UNRWA said that the number of registered Palestinian refugees as at July 2014 was 5.5 million, of which 16.8 per cent are in the occupied West Bank and 24.2 per cent are in the Gaza Strip. Just under 40 per cent of the refugees live in Jordan; Lebanon hosts 8.9 per cent and there are 10.3 per cent in Syria.